According to the National Aeronautics and Space Administration (NASA), at 9:36 p.m. EST on January 20, 2019, the “Super Blood Wolf Moon” will start to appear. This is another rare astronomical spectacle after the “Super Blue Blood Moon” on January 31, 2018. The “Super Blood Wolf Moon” will only be visible in North America, South America, Western Europe and parts of Africa, and Canada will have a panoramic view. “Super Blood Wolf Moon” combines the three astronomical phenomena of “Super Moon,” “Blood Moon,” and “Wolf Moon.” “Super Moon” refers to when the moon reaches a perigee, and when it is full, it looks 14% larger and 30% brighter than usual. 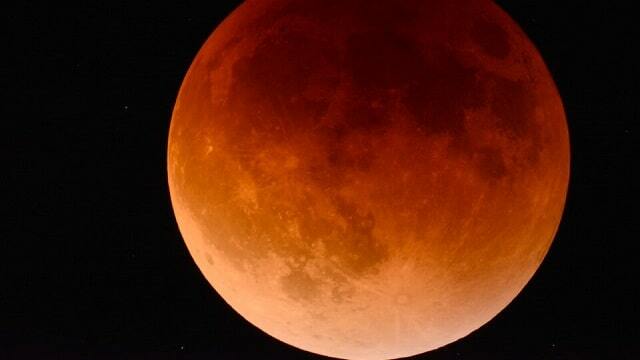 • Blood Moon to Reappear – the Great, Terrible Day of Jehovah Approaches! On the night of July 27th, 2018, a rare celestial spectacle—the blood moon, will reappear. What does it mean that the blood moon frequently appears? As Christians, how should we view this phenomenon? The days of Noah have come. How can we survive the end-time destruction by God’s care as Noah’s family of eight did?